Multifunctional element inspired to the design of cage sideboards. Shelves, flap and swing doors and drawers. It’s also available in a version with a wide panel as TV-holder with back space for wiring. 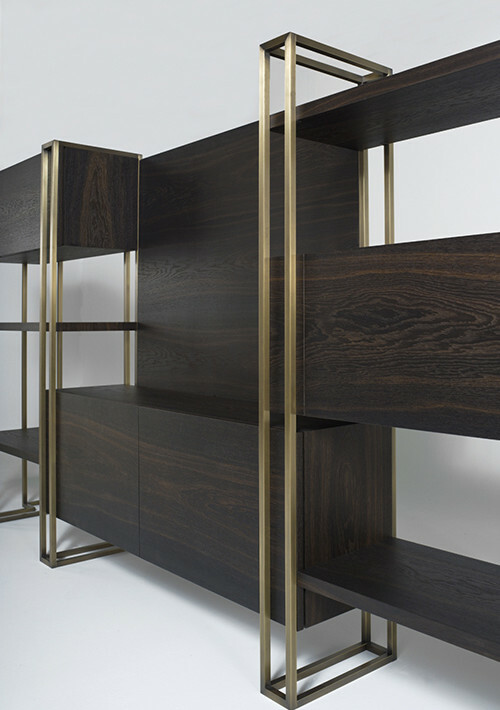 Structure in burnished brushed brass or in natural brushed brass. Please inquire about customizations. Note this is a handmade piece some variations of wood stain color may occur. Hand Made in Italy.